Are Lightly Regulated States Really More Friendly to Small Businesses? A new ranking of states based on “small business friendliness” was released this week by Thumbtack. Thumbtack, an online directory that helps people find local service providers, surveyed over 6,000 small business owners who list their services on its site and, based on their responses, assigned letter grades to each state. The survey-takers were asked to rate their state across several measures of small business friendliness. Many of the questions dealt with regulations. Business owners were asked how friendly or unfriendly their state is with regard to environmental, labor, health & safety, licensing, and land use regulations. In the final results, which you can see in this interactive map, states that have more regulations tend to rank low, while those with fewer and looser rules top the list. The five states deemed least friendly to small businesses are Rhode Island, Vermont, Hawaii, California, and New York. The five most friendly are Idaho, Texas, Oklahoma, Utah, and Louisiana. The trouble with this analysis, though, is that many of the “unfriendly” states are actually home to much larger numbers of small businesses than the “friendly” states. Vermont, for example, which earned an “F” in the ranking, in part because of its cumbersome environmental and zoning regulations, has nearly twice as many small businesses per capita as laissez-faire Texas, which scored an “A+.” Low-ranking New York and Rhode Island likewise have more small businesses than most states. Of the five most “friendly” states, only one, Idaho, outperforms the national average on numbers of small businesses. The other four lag behind, with Louisiana ranking 36th and Texas 47th in the nation. Another way one can evaluate the Thumbtack ranking is to look at which states had stronger small business growth (or slower decline) over the last decade. Here again the “unfriendly” states outperformed the “friendly” ones. 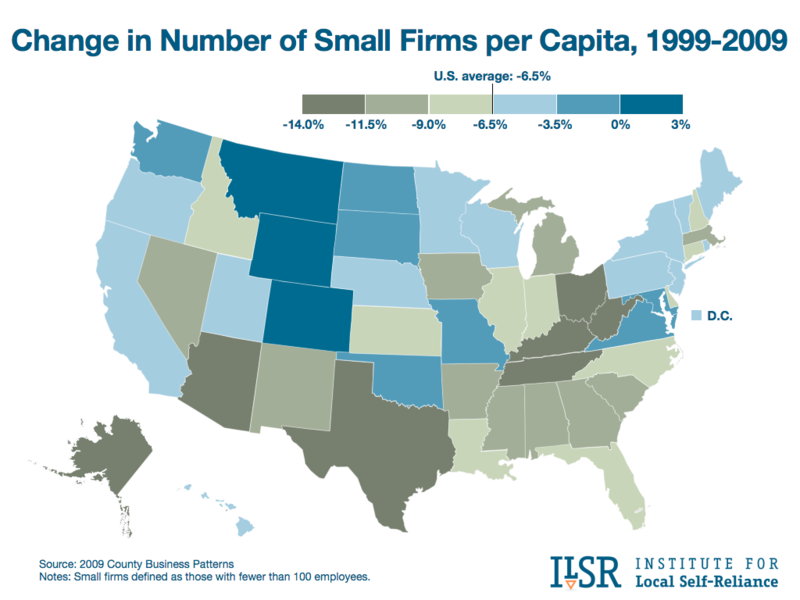 Nationally, the number of small firms has fallen 6.5 percent since 1999 (relative to population). Rhode Island, Vermont, Hawaii, California, and New York all beat the national average. In fact, these five states together lost half as many small businesses per capita as the U.S. as a whole. Meanwhile, Texas saw its small business numbers drop by almost 12%. 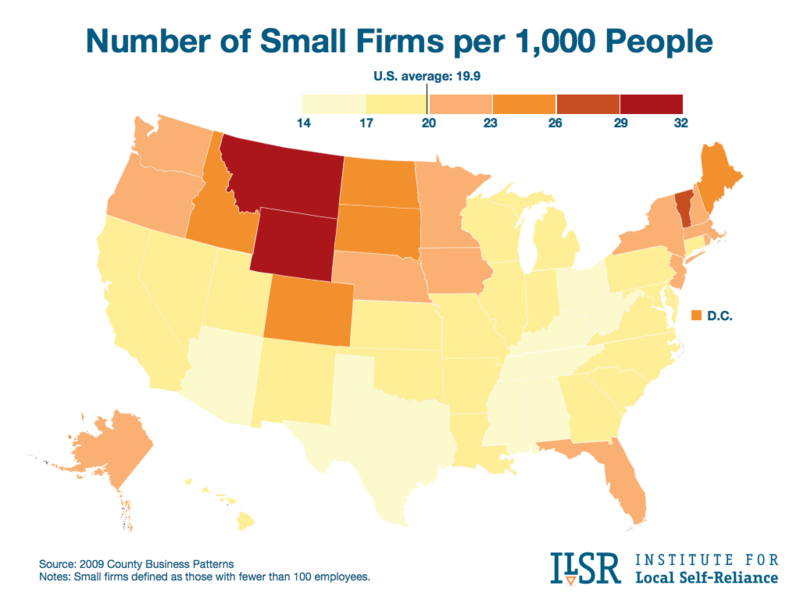 Idaho and Louisiana likewise lost more small firms than the national average. Thumbtack also graded 40 metro areas. Again, their results differ from other measures of the robustness of local businesses, notably the Indie City Index published last year by Civic Economics, which rated metro regions based on the share of spending captured by independent retailers. But it’s also possible that some of the regulations small business owners find burdensome are ultimately beneficial. It may be that strong environmental and labor policies can help to create the kinds of healthy, vibrant places that enable local businesses to thrive. It may also be that these rules have a more limiting effect on their big competitors. 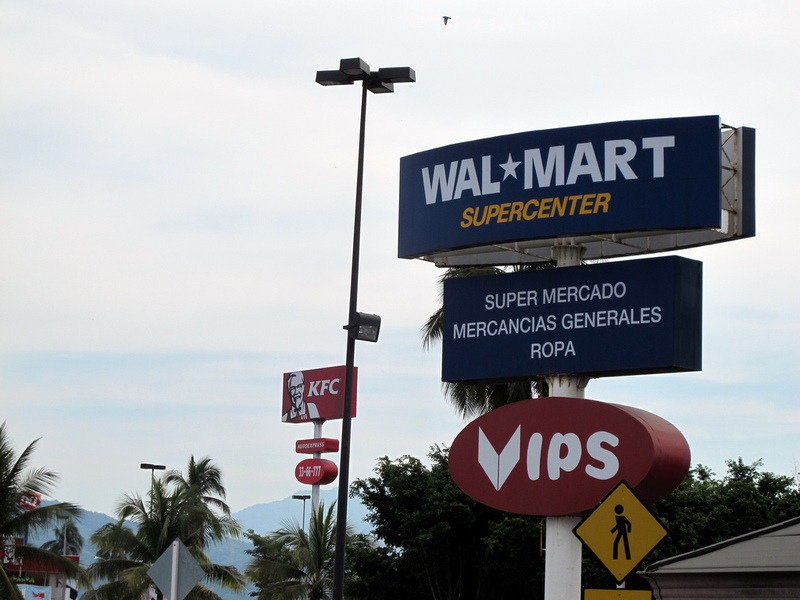 Vermont’s land use policies, for example, have done much to preserve the vitality of the state’s downtowns and protect its farmland from sprawl, which has been a boon to local businesses and food producers, while also inhibiting the spread of Walmart and other big-box retailers. That some regulations might be good for small business is an idea rarely entertained in the public debate over how best to nurture the economy. It runs so counter to the dominant, overriding assumption that public policies that set limits and standards are bad for all businesses, perhaps most especially small ones. But the evidence to support this conventional wisdom is surprisingly sparse. That one of its main proponents is the U.S. Chamber of Commerce should also give us pause. As I’ve written elsewhere, the Chamber has a long track record of pushing its big business agenda under the guise of protecting small businesses. 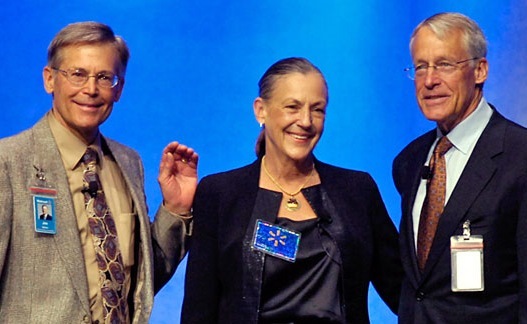 What we may well find over the long-run is that, in an anti-regulatory, race-to-the-bottom environment, big corporations thrive, while small businesses, much like labor unions and endangered species, continue to see their numbers dwindle. As a NYS employee who has read many forms filled out by small business owners (which left me wondering how they managed to get the business started as the forms were a mess), I couldn’t help wondering if the existence of the regulations helps weed out unprepared entrepreneurs. In other words, if you are organized enough and persistent enough to deal with the regulations, you have a better chance of succeeding in general. One might also speculate that, not only against “big business”, it provides a level playing field with all participants having to meet the same standards and raises the overall quality. Thank you for your informative newsletter. High on information. I have a melange of ideas for you. I do have one quibble. Being from the other Portland…. in Oregon, we have perhaps a languishing pride, but we used to have the highest density of small business, I believe, in the country. Perhaps that was urban legend, but a survey of 6,000 businesses seem to me, well, cheesy protocol. You can do better than that. I love your perspective, and would like to see some settling into the new reality of productivity gains and robots making things, and if we were all to work our 40 hours, we we would each need appetites one hundred times that of our parents. nef proposes a 21 hour work week. I concur. Then a life of quality were indeed quality is the focus, quality of life, of art, of crafted things where there could be a vision. This in concert with self reliance. Anyhow. Our distribution system is broken. Of money. Of things. Of ways of transport. Canals make the most sense for that. We need to look ahead to create a world that will be lovely after we have exhausted the black solar savings account of oil, coal and natural gas.